Video: Budget iPhone - Apple's best or worst idea? 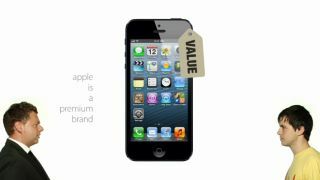 Apple's budget iPhone - is it or isn't it? Given the floods of rumours, we'd say it's all looking pretty damn likely. But if it does exist, are we so sure that tapping into the budget user is a good idea for Apple's flagship? Is widening its market only a good thing, or does it risk damaging its brand name? Two of us go head to head in this week's QuickRadar to clash opinions. No points for guessing which one of us is premium and which one is budget.